Klõpsa siia, kui soovid lugeda eestikeelset menüüd. Estonian President Toomas Hendrik Ilves and US President George Bush shaking hands in the White House, June 25, 2007. Photo: Mike Theiler, courtesy of the Office of the President of Estonia. 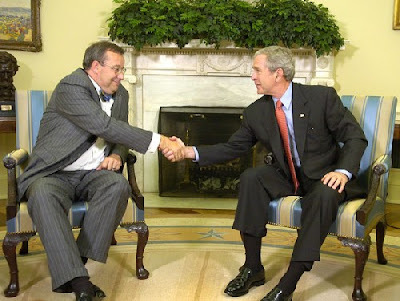 Well, if George Bush had lunch with Toomas Hendrik Ilves in Estonia (that was in November 2006), it was only a matter of time that Toomas Hendrik Ilves would fly to the US to have lunch with George Bush in return (as he did early this week). Ilves and Bush actually met over two days, which was quite amazing considering that the first leds a country of barely 1.4 million people and the other a country of more than 300 million. Click on the photo to enlarge. Photo courtesy of Eesti Ekspress. I'd be interested to hear what American foodbloggers think about this menu. Was it seasonal? Was it representative of 'American cuisine'? And if yes, was it representative of modern or new or traditional or particularly regional American cuisine? PS Curious to know what the Queen of England or the Emperor of Japan were served on their official visits to Estonia? Click on the Festive Menus label on the right hand side to find out. Not being a food-blogger, but a food-lover, I would wager to say the menu was both regional and seasonal. Regional for the cod (Atlantic native species), seasonal for the asparagras and spinach. If they had been lunching in Seattle, I can guarantee they would have had salmon with asparagus as their main instead accompanied by a local wine as the Pacific Northwest has a number of fabulous wineries. However, it is most certainly modern rather than traditional. In my humble opinion, this menu is not representative of American cuisine for the simple fact that there isn't really an American cuisine. There are wonderful chefs whom use regional produce to its max! I think the only true "American" cuisine, as in 'not borrowed from another country' would be steakhouse type and/or barbecue, neither of which would be considered sophisticated enough for the White House Lunch. I also think that at least 50% of Americans wouldn't have a clue as to what most of that was... Foodies, yes... but they wouldn't have a cookbook titled "A Man, A Can, A Plan, II" if the first one wasn't a hit! I am with Katie. I don't know if it was "American" - especially since I saw many similar dishes on my recent vacation "across the pond". But, it was definitely seasonal. The dishes are ones typically found in a "fine dining establishment", and like Katie said, not everyone would know that the dishes were if put in front of them. I'd have to think this is a pretty international menu and somewhat seasonal. Maybe the most American thing is the tomato jam but I'm not even sure about that. I know my grandmother made tomato jam. This all sounds pretty seasonal. It's no American in the sense that McDonalds or apple pie are, but that sort of cooking-- quasi mediterranean mixed with french-- is pretty trendy here. The only thing American about this menu is that it is a polyglot of influences of many cuisines -- which is how America likes to see itself, as a meeting point for many different cultures. Hamburgers and hot dogs would be a more American summer menu! They should have used Country Ham from Virginia in place of the parma ham. Silly Euro-obsessed white house chef! But then again, the FDA is trying to put the kibosh on country hams, so I guess it makes sense in the end. sigh. Melinda - asparagus season is sadly over in Estonia - has been for a month now - but I'm glad to hear that there are parts of the US where they're still in season. 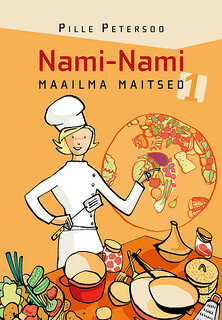 And if there are great chef using those local specialities, I guess that counts towards being 'American cuisine'. I mean, the fruit & berries & mushrooms I get here are a wee bit different one gets in, say, Malaysia, so our dishes would be markedly different - and 'representative' of what's local & typical. PS I'm with you re: cherries & meringue - sounds delicious! 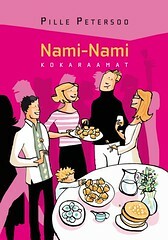 Katie - if nothing was to be borrowed, then 'truly Estonian cuisine' would consist of gruel and turnips :) And is there really a cookbook 'A Man, A Can, A Plan, II' or you're joking??? Like in '100 innovative ways with baked beans'? Tanna - thanks for the information! Village Vegan - I think those 'official menus' are a way of seeing how the host country wants to be perceived, which is the reason why I'm sharing them here. Glad to hear that you enjoy it! Ann - I'm with you. I hate when they use imported food items when they're are perfectly acceptable and often much better local items available (and that goes both for ham, cheese & vegetables). Thank you all for your thoughtful responses, much appreciated! !